-An overview of the increasing botnet threat and predictions for 2012. -What this increasing threat means to business. 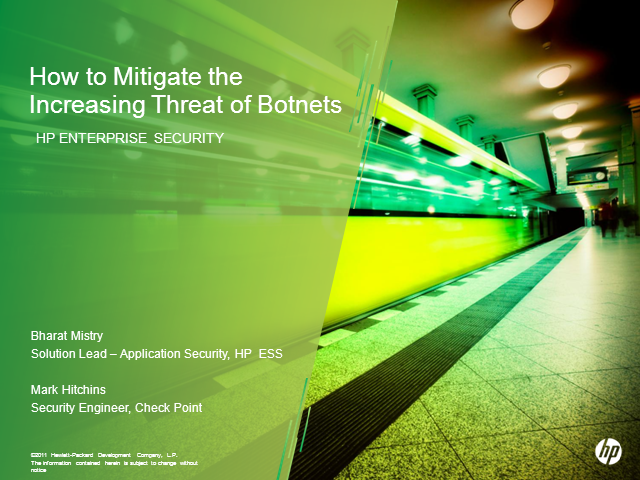 -How to approach the botnet threat and mitigate risk. -Overview of anti-bot software solution from Check Point.